Kylie in her Evil Like Me solo grandeur! Emily (Dancer)-“Going to the studio is what I look forward to all week. I couldn’t ask for better people surrounding me. I love this place so much! Need dance wear but not sure where to get it? Click here and we can help! Your child will thrive this year under our dance syllabus! Our unique Gems to Jewels program will inspire your child to reach new heights every week as they progress from Rubies (2-3 ½ year olds) to Diamonds (Advanced Dancers). Each level is specially designed with your child in mind. Click here to register for our 2019 Classes! Rubies (2-3 ½ year olds) will use their imagination in class as they wander through magic forests, enter enchanted castles and so much more while learning musicality and ballet steps! Sapphires (3 ½- 4 year olds) add the percussion of tap to their dancing! Your child’s journey in tap and ballet will lead them through mystical worlds where movement and music join to create an exciting adventure in dance! Opals (beginner 5-6 year olds) have the great opportunity to try it all! 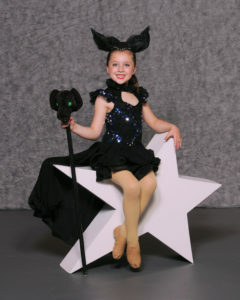 Jazz, Ballet, and Tap are offered to your beginning dancer! Your child will learn technique using props, imagination, and more! All of this adding to the fun of learning new steps and styles! Jades (beginner 7-10 year olds) continue their journey after they have mastered their opal level or are beginners who are a little older when they get the amazing opportunity to join dance! Your child can enjoy Jazz/ Hip Hop, Ballet, and Tap! Since Jades are a little older than Opals, the learning process is accelerated and more fun steps are added! They will still swirl and twirl, tap and jump, but with added style and showmanship! Garnets (Intermediate 8-12 year olds) can add even more to their dance repertoire! Lyrical and separate hip hop classes round out their dance opportunities! Your child will flourish as she joins the higher ranks of dancers! She will work more with musicality and feeling while expressing her enjoyment on the dance floor! Amethysts (Intermediate 12-18 year olds) gain even more experience in each style of dance! Each week your child will be challenged and engaged in learning new steps and techniques! She will gain confidence as she progresses and improves! Emeralds (Advanced 12-20 year olds) continuously learn new skills as they attain an even better sense of self. Modern is introduced as another style they can enjoy. Mature body awareness gives them the ability to really improve. More complexity in choreography and technique helps them enjoy the dance even more as they get a true sense of becoming one with the music. Diamonds (Advanced 14- 20 year olds) are the most advanced dancers at Creative DanceN’. Your child will be able to really relate to every aspect that dance offers. She will feel herself more than a dancer, but actually part of the music. Improved confidence and delight will encompass her as she sees herself progress to the highest level she can achieve! Adult Classes Dance is something that should be enjoyed at all ages! In our adult classes, we have no age limits! We have no ability limits! We put no limits on what we can achieve! Classes are designed for you to work hard, gain new friendships, and become more than you ever imagined! Adult classes are priced on a drop in basis: Tap and Jazz – $9.00 per class Ballet – $12.00 per class.